Christian Meditation is a contemplative prayer of silence, stillness and simplicity. It is based in scripture and brings us to an awareness of the Prayer of Jesus ever present in our hearts. The weekly meeting enables us to support one another in our prayer and service, and so helps to build community. All are most welcome to "Come and See". 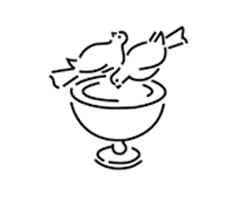 Christian Mediation is held in the Parish Meeting room from 7.00 PM on Tuesdays.